Lol, if you say so not a very constructive response though. You agree with chocolate covered Happy Purple Day though to replace Thanksgiving yes? Let me put it quite bluntly. I haven't agreed with anything you have said. You can try dictating to other people how they should celebrate holidays etc but you can't force them to listen or follow your personal beliefs. Bradford, is empathy not your strong suit or are you so wedded to your ideas about Valentine's Day that you can't muster any for a tiny five year old child who received a crystal clear message that she was being rejected by pretty much her entire class? You may have me pegged there, indeed I'm thick skinned and pretty bullet proof in that respect and while some of my responses may appear curt, it's also because I'm replying on a phone so my ability and desire to craft paragraphs of prose with elegant quoting is truly limited. You chose to feel rejected, I'd have figured they're all a waste of time and not worth bothering with in future. Either approach is valid if you choose to validate it but only you can determine that path. "Make Valentine's Day Special Again"
Well, they're not *my* personal beliefs but widely documented traditions and just to reiterate yet again, Valentine's Day is NOT a holiday. The more you try to insult my intelligence, the worse you make yourself look to others. Actually, Bradford hasn't looked in any way negative to me during this thread, and he can't make himself look worse, because the word 'worse' doesn't apply when you're on the up. He's been making good sense all the way through the thread. Some others haven't made a great deal of good sense though - imo, of course. In fact, I would say that some (not naming any names) have been arguing just for the sake of it - rather stupidly, imo. Let's try it this way instead. Geez Bitsy, that sounds like a really horrible thing to go through when you were so young. Thanks, Bradford. It was. I didn't yet have the skills or insight to cope with it or anyone to help me learn them. Talking about this experience (which was one of many) has been good though. Several people here have given me support, which has been lovely and brought some kindness into the memory of very dark, bleak years. It's been really good to hear about things teachers like Pamela have done too. Thanks for bringing up the matter. If you hadn't, I wouldn't have spoken up and I wouldn't have received the support from others here. 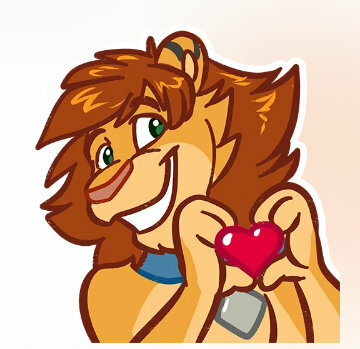 Here I am, to add more Love to it! Well﻿, t﻿hey're not *my* personal beliefs but widely documented traditions and just to reiterate yet again, Valentine's Day is NOT a holiday. I think you’re smart, Selene. Oddly, I could swear the “feast of Saint Valentine” is a Roman Catholic Holy Day. Maybe Bradford doesn’t know words have more than one meaning. It may be what you described but, even if it is, to the world it is what Bradford described, where one individual shows (sometimes anonymously) another individual that they are special in a romantic way. It could be that the tradition is in the early stages of changing but it hasn't changed yet, and the silliness of 'all give all a card so that nobody is special' is what it says on the tin ... silly. This is a very perplexing thread. When I was little, I didn't try and fit in. I wasn't prepared to put myself in a position of possible rejection. Family was the absolute centre of our universe. Sure we played and had fun. I had friends. It didn't really matter if they came and went over the passage of time. We were deeply religious then, ensconced and shielded from such scenarios as mentioned by family & faith. I was a spelling and comprehension nutcase. Addicted to reading and writing to the point of obsession from the moment I realised words had value. These things combined allowed me to exist in my own little universe. I was never lonely. Animals, insects, birds, trees & flowers, then music. (hereditary, not learnt). I am extremely disheartened the teacher would put a child in such a risky position. I suggest the teacher was incredibly negligent to not forsee such a hurtful scenario might eventuate. I am....(was?)..... *looks about & whispers...... roman catholic. I will also add, less than 8 hours ago, I coaxed a young student out of his own world, to attempt an exam, which he agreed to undertake quite reluctantly, (wanted to defer). I created a stress free environment, assisted when asked to, gave a smile here and there whilst not imposing and he topped the class. Inclusion is not a "given". It doesn't happen automatically. We tend to forget this. In my school we always brought Valentine's Day cards for everyone, and we received cards from everyone. I'm wondering if I attended some sort of progressive elementary school, or perhaps more elementary school teachers handle V Day in this same way than some imagine? Although the roots of Valentine's Day may be in ancient Rome, in Mexico the holiday is celebrated with joy and enthusiasm. February 14th is celebrated in Mexico as El Día de San Valentin, but it's more commonly referred to as El Día del Amor y la Amistad, the "day of love and friendship." Valentine's Day in Mexico isn't restricted to romantic love, it's also a day to show appreciation for friends. People give flowers, candies, and balloons to their romantic partners, but they may also give cards and gifts to their platonic friends as well." Thanks, Bradford. It was. I didn't yet have the skills or insight to cope with it or anyone to help me learn them. Talking about this experience (which was one of many) has been good though. Anyway, in opposition to the healthy way you have chosen to deal with reality, there is some misguided myth out there, evidenced by people pretending to be tough and unaffected by the adversities encountered in life. While it keeps those perpetuating the myth believing they are in supreme control, in reality they exist in delusion, and I could make a case that this attitude is the supreme cause of the destructive predicament our world is in at this moment. "Boys don't cry", but they can be angry right? Boom Boom. Strange thing is, if you just feel the pain there's no need to become angry and destroy things. Bitsy, once again you demonstrate the healthy way to deal with pain -- when you get lemons then you make lemonade! ...reminds everyone that she's an engineer. 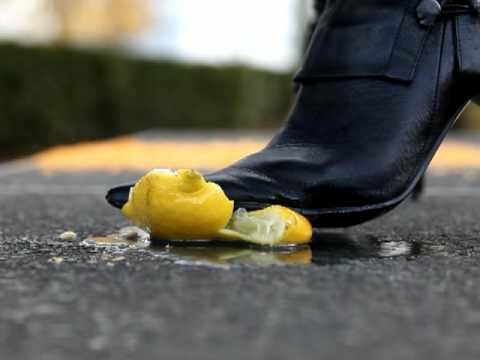 All this talk of lemons has me remembering Led Zepellin lyrics about lemons. reminds everyone that she's an engineer. Electrical by degree, though my home schooling was primarily mechanical, and only civil when other people were watching. Electrical, though my home schooling was primarily mechanical, and only civil when other people were watching. Electrical engineers do seem to have more fun.